A brave angler seen wading chest-deep in croc-infested waters should have been a little more aware of his surroundings. 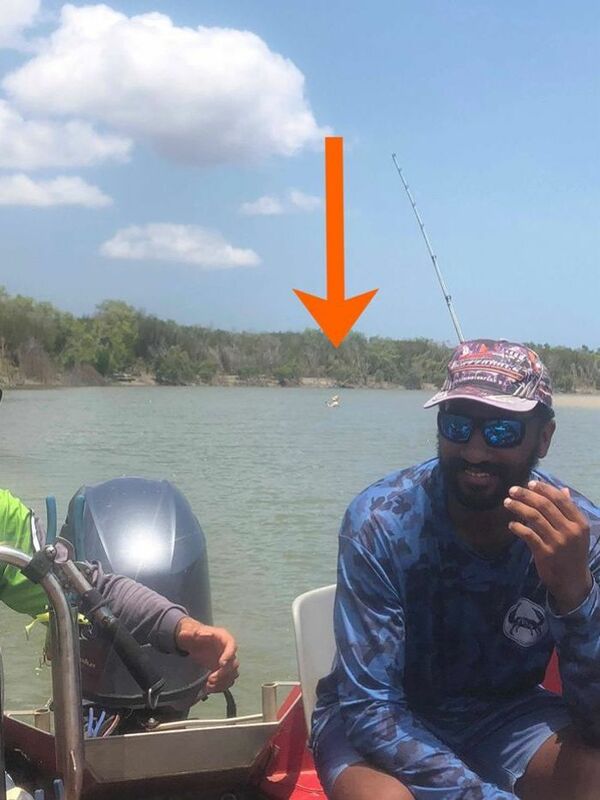 This story out of Australia had us more than impressed, and we thought it was about time to tell you about the man who was seen chest-deep in waters known to have a large saltwater crocodile trapped a mere 40 meters away. Simon Bochow told ABC News he was "gobsmacked" when he saw the man at Shoal Bay's Hope Inlet, on the north coast of Australia. Bochow even warned the man of the nearby reptile, and said he "sort of shrugged his shoulders." "There was not a whole lot we could do," he said. "It was unbelievable." As of Oct. of last year, 59 crocodiles had been pulled out of Hope Inlet in 2018, nearly 20% of the 285 that had been caught in the Northern Territory. Could it have been because of some incredible catch the man had stumbled upon? "We didn't see him catch a fish," Bochow told the news outlet. A crocodile expert familiar with the area was quoted as saying it was "pretty damn risky" after he saw the photo, and a senior wildlife manager was "quite shocked" after learning of the incident. By Australia's standards, this wasn't necessarily a big croc, "but it will still take a leg off," Mr Bochow said. "And I've seen bigger ones in there." This guy should probably take a lesson in wildlife safety, and remember that in those situations, you're on the animal's home turf.